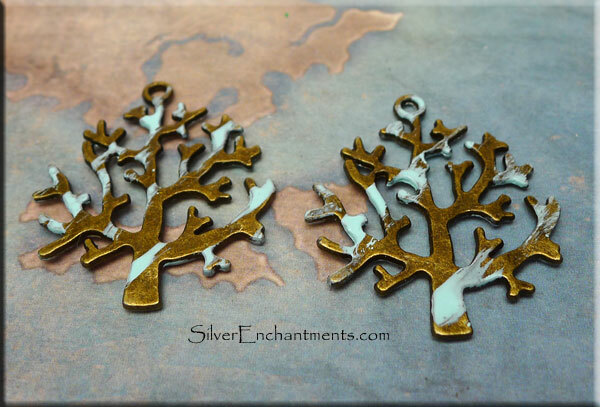 These Double Sided Tree Pendants have been given a patina by hand on both sides. Each one is unique and no two are the same. To achieve the faux patina, a variety of materials and techniques are used, as well as a sealer. 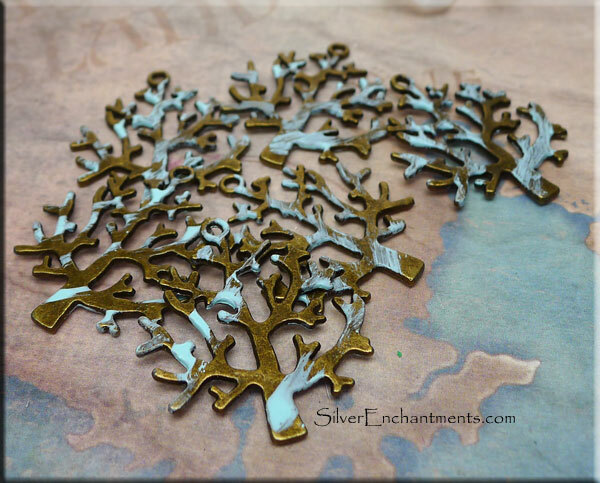 Materials : Lead & Nickle-free Metal, Patina, Eco-friendly Sealer. There are exactly 25.4mm to an inch.